Brockman won the right to apply for access in a legal bid this week. FMG-owned firm The Pilbara Infrastructure (TPI) wanted to stop Hong Kong-based Brockman Mining from accessing its Pilbara railway infrastructure, arguing that Brockman’s 2013 application under WA's Railways (Access) Code was invalid. TPI sought to overturn a September 2014 ruling in favour of Brockman Mining, but the WA Court of Appeal this week dismissed the appeal, ordering TPI to pay costs as well. “It certainly was a victory ... we were always confident of winning but it's always nice to get that final verdict in your favour,” said Brockman Mining executive director Colin Paterson. “There was no basis for their challenge in the first place. Mr Paterson said that as the access application was ruled valid, the company can now negotiate with TPI for an access agreement covering its Greenfields mine, Marillana. Mr Paterson the matter may even go to arbitration, if Brockman is unable to negotiate a good access outcome with TPI. FMG has issued a statement saying it will consider its options for more appeals in the High Court of Australia. 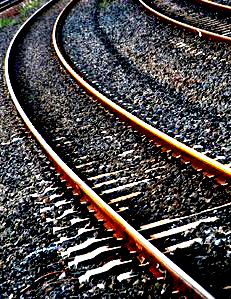 “The access seeker's proposal was lodged nearly three years ago and they have yet to demonstrate that they have the financial and management capability to carry on the proposed rail operations and that we have capacity on our railway to accommodate their requirements,” FMG chief Nev Power said. Mr Power insists that Fortescue supports having third party access to infrastructure, but maintain that TPI should not have to subsidise ‘uneconomical’ third party projects.